If you talk to any sport skydiver, they will tell you this. Your first jump is definitely an experience of a lifetime, BUT… it only shows you a small fraction of what you can do in the sky! And you really have MORE fun with every jump you make. How so? Let us explain. Skydiving takes you out of your element. On your first jump, you’re overwhelmed - freefall is so different from anything you’ve ever done on the ground. Because of this, you get a bit of a “tunnel vision”. You can only focus on one thing at a time. Remember? Oh, the video guy! The wind! The speed! Can I breathe? Where’s the ground? I’m flying! Things happen so quickly, you can’t keep track of everything that's going on. When you make your second jump, you get a little more accustomed to freefalling and your circle of awareness gets a little bigger. You start noticing a little more, and discovering more things you can do. You notice the view, the landmarks, the clouds you’re flying by, the instructor’s signals, other canopies and airplanes and all the serene “sky life”. Some people say that their second skydive was actually the more thrilling one. That's because they knew what to expect and "when to be afraid", so adrenaline kicked in even more. 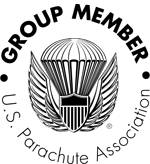 If you make your jump within 30 days of your previous one (as per US Parachute Association currency guidelines), when the memory is still fresh, the instructors will actually be able to give you a more in-depth training as part of our student program. Whether you decide to continue in the program or not, use this chance to get a peek into "how skydiving works". They will show you how to control your body position, make turns, fly your parachute and make your way back to the landing area. That second jump will count towards your training progression, and later you can choose to get your skydiving license and jump solo, or with other skydivers! From there, sky's the limit - there are so many exciting doors that a skydiving license opens for you. So in short, yes, your second jump will be as exciting as your first, or MORE! So go for it, whether it’s been two weeks or two years, or twenty years, get back in the sky and feel FREE again!